The emblematic principal clarinet of the New York Philharmonic is 90 today. He gives an expansive interview to clarineat.com here. The Guinness Book of Records has him down as the longest-serving clarinet in a professional orchestra. In 60 years in the orchestra, he says, he never cracked a clarinet. ‘I played so much it never got dry,’ he explains. Amazing career. I have in my hands right now a Buffet Bb clarinet (#99627) that I bought from Hans Moennig (legendary woodwind dealer and repairman in Philadelphia) around1968. He told me that it was one of three that Stanley Drucker had selected at the factory but Stanley chose another from this trio. I played it for about 10 years and even performed my masters recital on it in 1969. As close to clarinet greatness as I ever got, LOL. I met him several times and although he was not my idol (Robert Marcellus, Harold Wight, and Reginald Kell were my heros), he is still a force and an inspiration to the woodwind world. Bon anniversaire from a fellow Curtisite, maestro. An amazing career, especially when you consider that the NY Philharmonic was his SECOND job!!! Third. Indianapolis, Buffalo, NYPHIL Eb/Assistant. NYPHIL Principal. 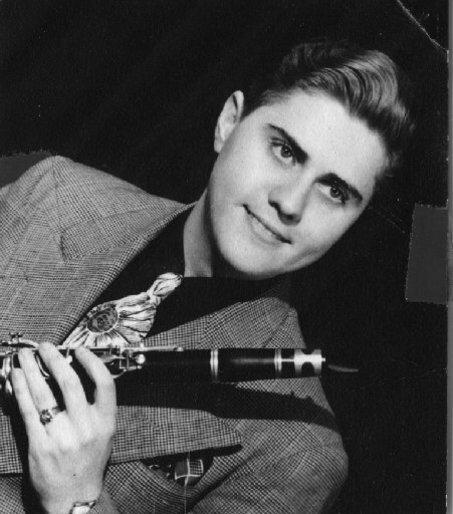 What a handsome man for his nineties, and that for a clarinettist. Thanks so much for posting this special tribute to a real master. As a young clarinet student in the late 60s, I was in awe of Stanley’s ability to absolutely nail every solo in the NYPO over such an incredibly long career. His incomparable recording of the Nielsen Concerto is still jaw-dropping. In 1967 when the orchestra toured Canada, I had a lesson with him and he was so gracious and helpful. It led to an excellent music education at the Manhattan School of Music where I studied with Leon Russianoff, Stanley’s own teacher and mentor whose inspiration I draw upon to this day. So all the best to Stanley Drucker – a true legend! And..I’m told by a mutual friend…he’s still playing! Yes, the recording of the Nielsen Concerto may be his most lasting artistic monument but don’t forget the Corigliano Concerto recording. Artists of this rank should never be forgotten. Both recordings are a testimony of his abilities, skills and musicianship. “A tone like a shout” is how I always described it. However, over the years I came to recognize that underneath that tone is a great musician. Yes, not a soft, velvety warm Jack Brymer tone, but it’s not a Boosey and Hawkes clarinet – I believe Stan plays French instrument(s) with a more assertive, penetrating, vibrant sound (dare I say almost a Benny Goodman sound?). Suited the NYPO but would have suited the Paris Conservatoire too. Wonderful artist who I heard many times. Did the Copland Concerto superbly. Had the pleasure and privilege of performing Rhapsody in Blue with the NY Philharmonic and Zubin Mehta. Never heard a more compelling opening than Stanley’s! Mazal Tov and happy birthday!!! !